High school students compete to design, build, and solve engineering challenges in fun, competitive environment. In this event themed along the lines of the popular Hunger Games, students will work alongside STEM professionals who will help guide and mentor them through the challenges. The Engineer Games are sponsored by the Tulsa Regional Chamber. THE DISTRICT: A total of 8 people will represent a District. This includes 4 Tributes, 1 Stylist, 2 Sponsors and 1 Professional Engineer to mentor the students during the competition. TRSA will provide the Mentors for the Competition. When teachers apply, they may submit as many students as they’d like to be entered in the “reaping” or drawing for Tributes. The deadline to enter is Wednesday, October 17. The drawing of Tributes (for each teacher) will be Monday, October 22. THE CHALLENGES: The Districts will compete in four challenges. The challenges are top secret and will not be revealed until competition day. STYLIST: Each team of Tributes is assigned a Stylist to give them a memorable look for the Parade of Tributes. The Stylist comes up with coordinating accessories to tie the team together. The Stylists’ creativity may give each team 25 points to each team with the overall best costume, most engineering themed costume, and best school spirit costume. In addition, the Stylist handles all Quality Control and Compliance Engineer responsibilities for their team during the Engineer Games. 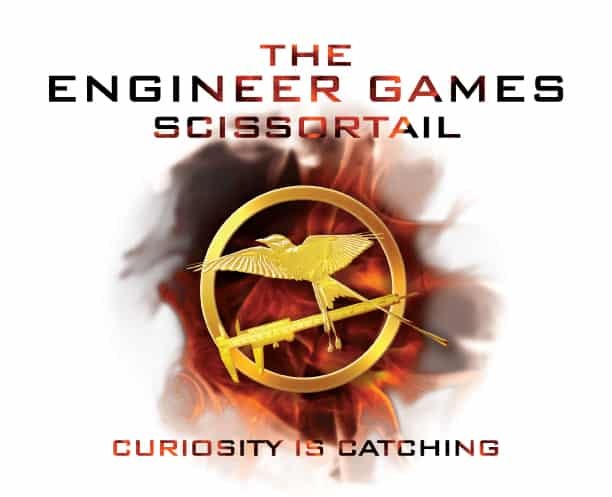 The 3 best Stylists of the Engineer Games will earn 1st, 2nd, and 3rd place ribbons!